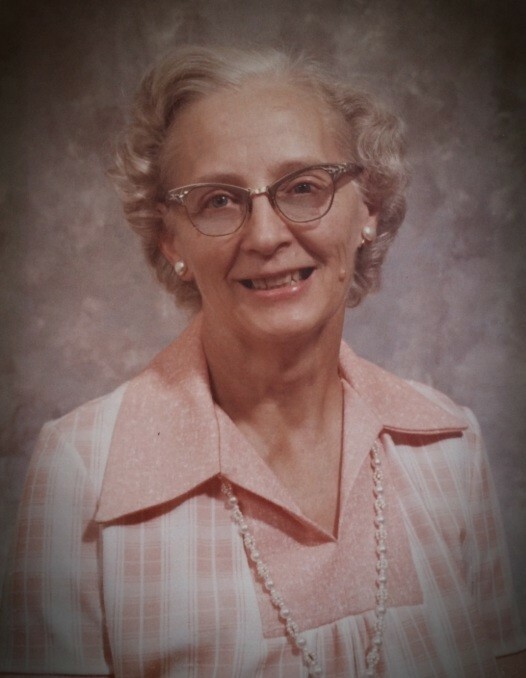 Bertha W. Pierce, (age 102), formerly of Black River, passed away peacefully Jan. 12, 2019 at the Samaritan Summit Village. She was born on August 26, 1916 in Black River, NY, the daughter of Clarence and Essie(Babcock) Waful. She graduated from Black River High School and then went on to receive her teaching certificate from Potsdam Normal School in 1938. Following school Bertha taught in a one room school house on the Dry Hill Road in Watertown for a year. She married Rev. Rollo D. Peirce on October 5, 1940 at the Black River United Methodist Church. Bertha became her husband’s partner in ministry and was very active playing the organ, teaching Sunday school, in women's missionary groups and singing in the choir. The couple began their ministry in Constantia, NY and would reside throughout the North Country during his career. The last church the couple served was in Whitesboro, NY. In 1974 Rev. Rollo Pierce passed away and Bertha returned home to Black River. She resided in the very home she was born and raised in until she moved to the Samaritan Summit Village in May of 2018. Bertha was a member of the Kamargo Alumni Association, United Methodist Women’s Group (in which she held several offices on Conference, District and local levels), Treasurer of Point Peninsula United Methodist Church (Little White Church by the Lake), Secretary of Black River United Methodist Church, and was always a part of various local clubs such as garden and historical clubs when serving a community. She enjoyed quilting, sewing, crocheting, knitting, crafting, birds and nature, and gardening. She and her husband and family enjoyed spending their summers at the cottage on Point Peninsula since 1948 and she loved spending time with her grandchildren. Among her survivors are her children, William Dee Pierce, TX, Thomas E. (Renna) Pierce, Port Lyden, Mark L. (Kathleen) Pierce, Cape Vincent and Priscilla P. Parker, Black River; ten grandchildren, 14 great grandchildren, 8 great great grandchildren, many nieces and nephews. Besides her parents and her loving husband she is predeceased by a brother, Clarence E. Waful and a sister, Ruth Porter. Arrangements are with the Bruce Funeral Home Black River. Calling hours will be held 10 a.m. to Noon, Sat. Jan 26, at the Black River United Methodist Church. The funeral service will follow at Noon at the church with Rev. Robert McCarthy pastor officiating. There will be a luncheon following the service, also at the church. Burial in Sanford Corners Cemetery will be held in spring.